My earliest memories of adventure reach back to my knobbly kneed five year old self exploring on a hobby horse. 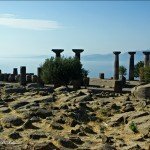 They were foremost in my mind when I made another discovery – the ruins of Alexandria Troas Turkey. Leaving CANAKKALE. 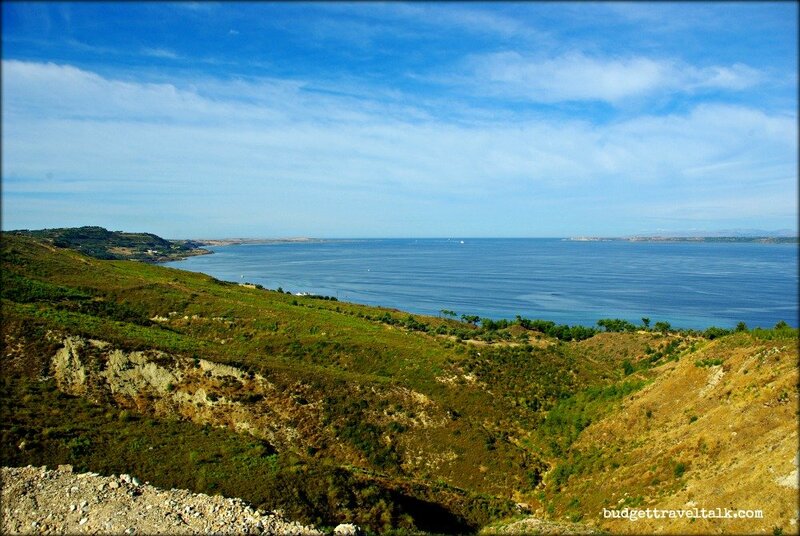 Overlooking the Dardanelles. The guinea grass grew tall in the abandoned land on the suburb’s perimeter down near the railway line. Our hobby horses rode dirt tracks through the grass made by our feet and theirs, with us looking for treasure, staying wary of snakes and as instructed by Mum – keeping well away from the train tracks. I can still feel the spine tingling excitement. Positive that we would find the treasure so carefully marked on our map and scared silly that we might unwittingly disturb a snake in the grass, although my loud giddy up noises would probably have scared them away. 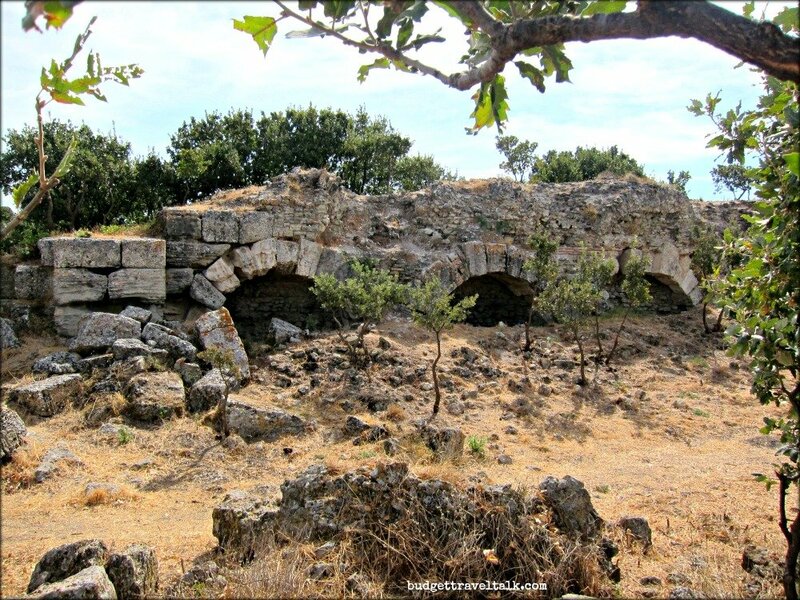 …the ruins of Alexandria Troas lie 10km south of Geyikli, scattered around the village of DALYAN…the site feels blessedly secret, with rarely another traveller among it’s great grass strewn ruins. I mentally dusted off my hobby horse and tried to keep a lid on my excitement. Our car crawled along the mostly deserted road. 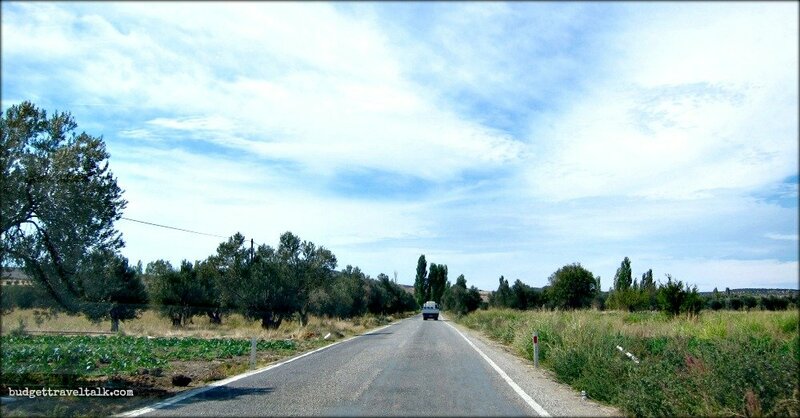 And suddenly there were ruins – mostly on the left of the road – but some on the right as well. With the car hastily parked, I grabbed my camera – my five year old self once again taking the reins. They had not been painstakingly excavated like those of Pergamum, Ephesus or HIERAPOLIS. 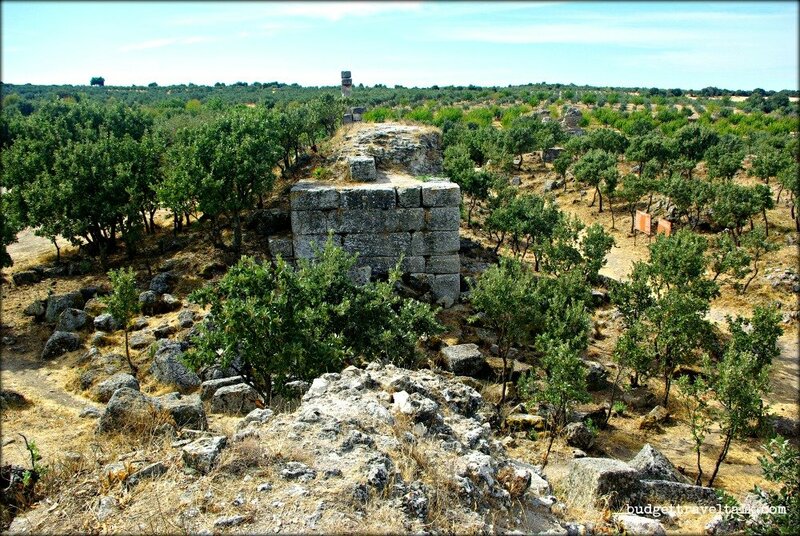 The ruins of the city of Antigoneia, built in 310BC by Antigonus, one of Alexander the Great’s generals, lingered without fanfare, abandoned in an olive grove, on a back country road in modern day Turkey. 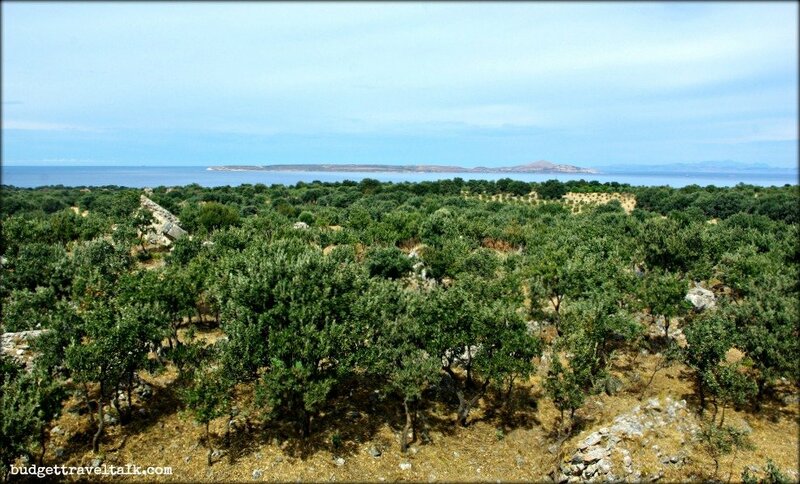 Climbing onto the ruins we found a view of Bozcaada Island – those Grecian/Romans loved a good view. 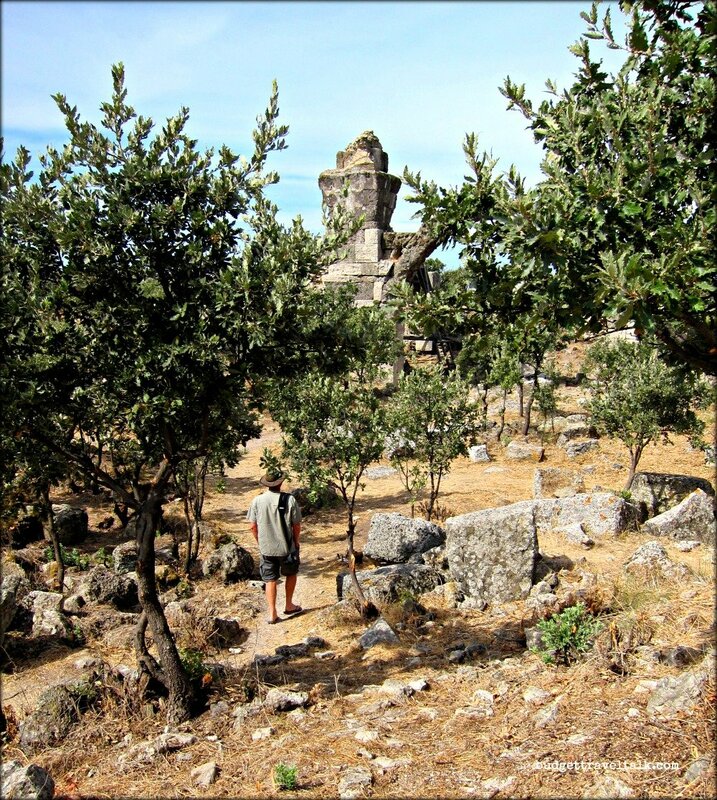 Our first Turkish ruin find and we were gloriously alone with the discovery – step aside Columbus. 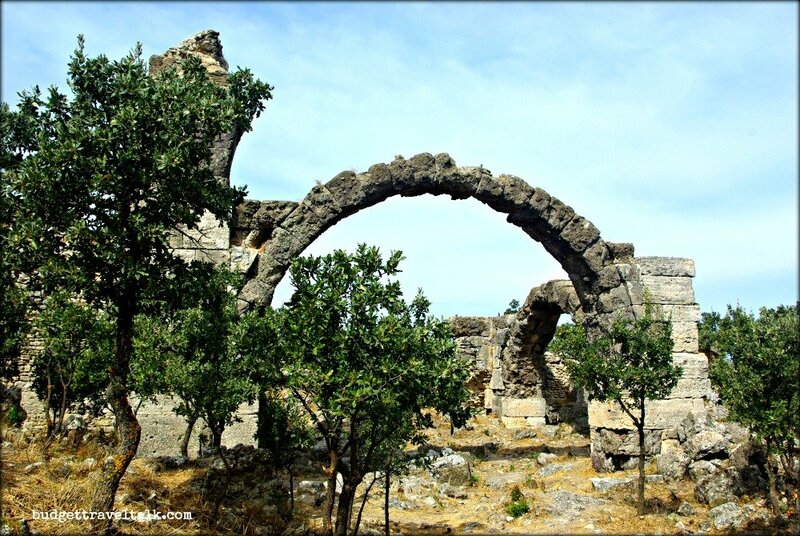 The ruins of Alexandria Traos do indeed… lay scattered in the fields around Dalyan. I never gave snakes a thought in Turkey but it seems they do have 45 species, 10 of which are poisonous. My research since has shown that it is quite uncommon for people to die from snake bite here so forget I even mentioned it. Have you experienced the adrenalin rush of a discovery of your own? Join Corinne at Reflections Enroute for Weekend Travel Inspiration. This Travel Photo Thursday at Budget Travelers Sandbox Nancie is looking at Penang’s Street Art. How exciting to discover the ruins of Alexandria Traos all on your own. What an absolute pleasure to be without other tourists or tour group, and I can just imagine the excited tingling you would feel and that it would take you back to how you felt about early childhood discoveries. Jan! Your new site design is gorgeous. I love it. I love your story as well. 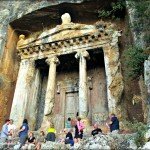 Turkey is so good for having these types of hidden gems. There are so many ruins, you literally trip over them. I love it. Thanks again for linking up with Weekend Travel Inspiration! Wow! What a discovery. 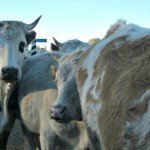 That is something that I never read about or saw in Turkey during my travels. 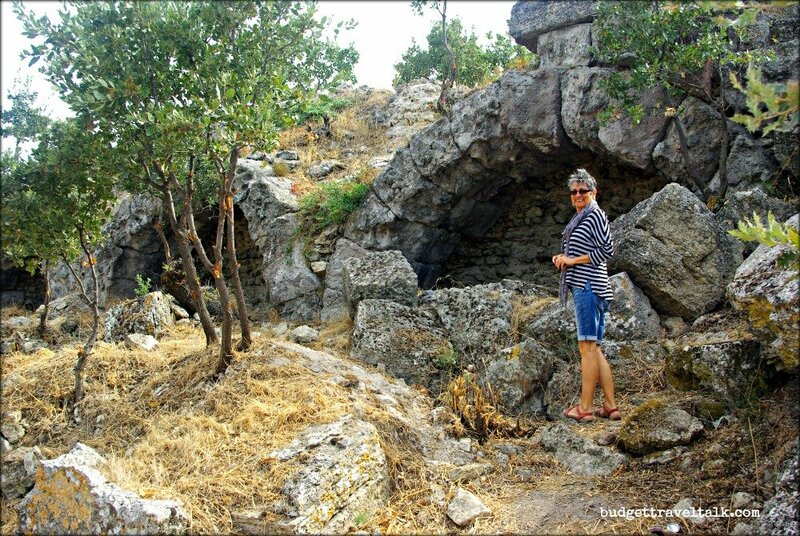 We took a yacht cruise from Fethiye and we hiked up the top of a hill on one of the islands to discover some ruins and that was pretty special. I really hope that I can visit Turkey one day. Until then I can just absorb it through your pictures and words. Thank you for taking us there. I love it how you have linked back to your childhood. Joining you over on Travel Photo Thursday. Happy travels. Thanks Jill, I was trying to describe my excitement at finding the ruins which I was sure we would miss, and it took me straight back to my childhood explorations. Oh for a treasure map today. 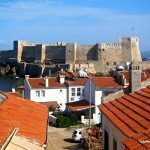 Turkey sounds amazing, its good to explore and find new things out there. We had such a fantastic childhood. Although raised in the children should be seen and not heard age, we still got to roam the countryside by ourselves. We just had to make sure we came home for mealtimes. I still remember those treasure maps and how hilarious that I thought we could find the treasure when we made the maps up ourselves, lol. Those Turkish Ruins definitely brought it all back. Love wandering around ancient places on my own; can always pretend no one has been there for a few thousand years. I was at the ruins of Great Zimbabwe about 15 years ago, and had the place to myself. Still remember feeling a wee bit apprehensive, but mostly excited. Africa is a complete unknown to us and I can imagine feeling apprehensive in your position. We have been to Morocco, but the rest of Africa awaits. I shall remember Great Zimbabwe ruins for when we do go. What a fabulous day and very exciting to find ruins with no one around. The closest I’ve got to that is entering a cave used by the Mayan people in Belize on a piece of private property.The owner while exploring his land (mostly jungle) had discovered the cave. I doubt anyone else but guests know of the find. That trumps our experience Leigh. The ruins we found do get quite a few visitors, presumably in tourist season. As we drove off we saw a carpark which we didn’t see coming from the north. 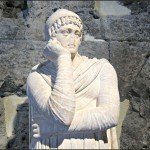 I’ve only ever been to Istanbul and whenever I come across these blogs I realise there is so much more to see! Six weeks in Turkey and so much more to see Denise. Turkey is definitely a place to go back to. Ruins like these are great to discover and even better to have it to yourself. Glad you didn’t encounter any snakes. Those views are beautiful! I love adventure too. I can feel the excitement of your discovery, more so without a tour guides and hordes of tourists 🙂 Turkey seems to have so many ruins. They do Rachel. 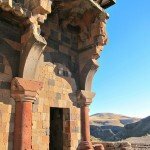 The very best in my opinion is the Ruins of Ani in eastern Turkey. There is a post on it on my blog. It was an Armenian town once, then the borders changed and it is now in Turkey. Only the ruins remain in a spectacular setting. Thank you for the tip – another one for my bucket list! I can feel your excitement. How wonderful it must have been to have everything to yourself and feel as if you are the only ones in the world to know about this place. I kind of felt that way at Beng Melea in Cambodia. Although we were by no means the only ones there, it wasn’t a popular place and had not been restored. We visited Beng Melea in a thunderstorm Michele – very nearly had the place to ourselves – had to shelter in the ruins. I agree it was my favourite adventure temple too. There wasn’t much left but on a recent study week to Ikaria I went down to the beach early one morning to walk around the old ruins of the Temple of Artemis – despite the fact that I’d seen others there the day before, it was great having the place to myself. It’s a completely different atmosphere on your own, like you’re caught in a time bubble! Oh Jan, this is so sweet – to have your adventurous 5-year old self be awaken again. It’s amazing that in this modern age and technology, a lot of precious archeological treasures still remain unchartered. I guess Turkey has so much of these treasures than they keep their hands on. But great for you on staking on this one! :) Quite a great find!